Craig Mackinlay, the MP for South Thanet, has nominated Blaze Signs for the national All Party Parliamentary Group for Corporate Responsibility annual award. Blaze Signs has its Head Office on Pysons Road Industrial Estate, Broadstairs, and employs 200 local people at its main production site across design and manufacture. The company operates nationally as a specialist in digital printing and for bespoke manufacture of signage for national brands such as Sainsbury’s, Tesco, the Co-operative Group, Metro Bank – and were signage partners for the 2012 London Olympics. The MP proposed Blaze Signs for the national award primarily because of its commitment to its Apprenticeship scheme, working closely with East Kent College. 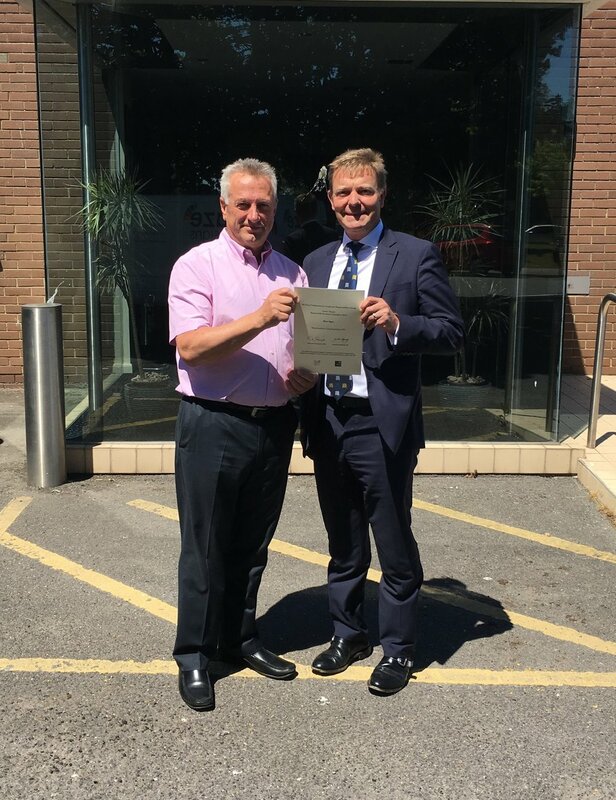 “It was a pleasure to meet with Clive Knight the Managing Director and present the company with a national nomination for this prestigious award. “I am hugely impressed with Blaze Signs’ roots in the local area and their work with East Kent College in promoting its apprenticeship scheme. “We are delighted to be put forward for this award. We are committed to the local area and our apprenticeship programme.